Florence Nature Preserve offers a network of 5+ miles of hiking trails on 600 beautiful acres on the slopes of Little Pisgah Mountain. The preserve features pristine creeks and cascades, scenic rock outcrops, the ruins of an old homesite, and areas of old growth forest. 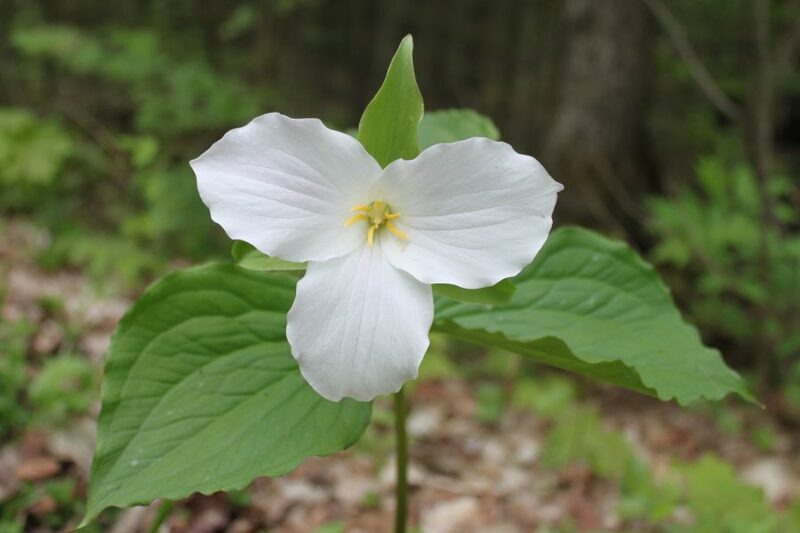 It’s the perfect place to go for a quiet and pleasant walk in the woods, off the beaten path. 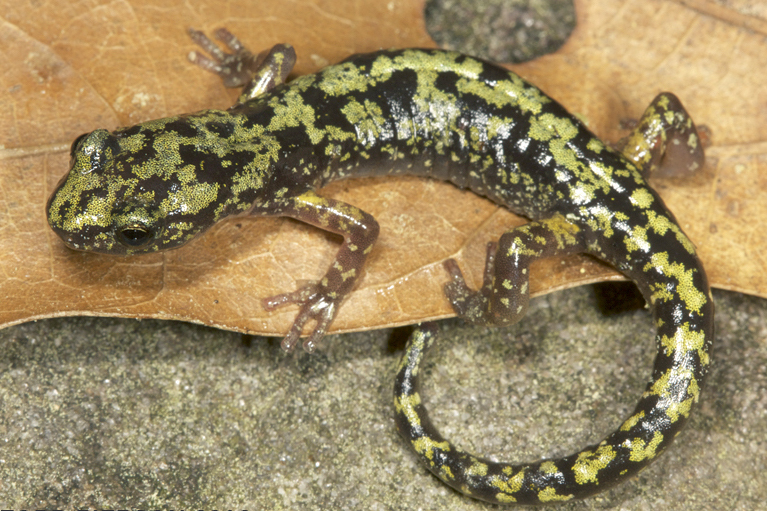 This land is home to many special plants and wildlife, from pink and yellow ladyslippers to rare salamanders. Keep your eyes open and you never know what you might see! 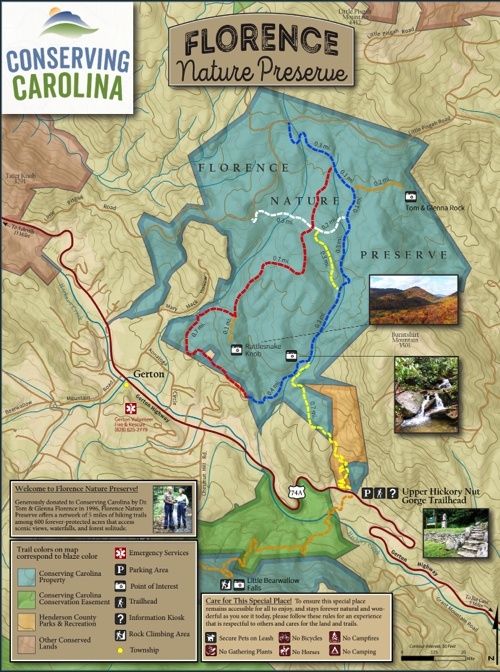 You can use this map to find your way around the trails at Florence Nature Preserve. Want to print it? Here is a PDF you can download. 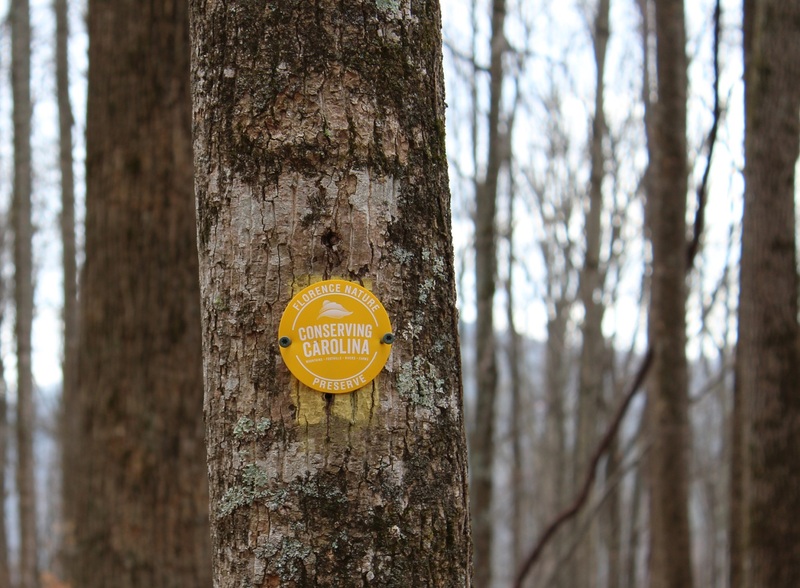 The FNP Access Trail is marked with yellow blazes and it connects the Upper Hickory Nut Gorge trailhead parking area with the rest of the trail network. The Blue Trail parallels a picturesque mountain stream—a tributary to Hickory Creek—and passes several scenic cascades and water features. The Red Trail is the high road. It traverses a mountain ridgeline and takes you to the spur trail for Rattlesnake Rock. The White and Yellow Trails in the middle of the preserve allow you to explore some new territory or take a shortcut while hiking a loop. The short Orange Spur Tail off of the Red Trail leads to scenic Rattlesnake Rock. 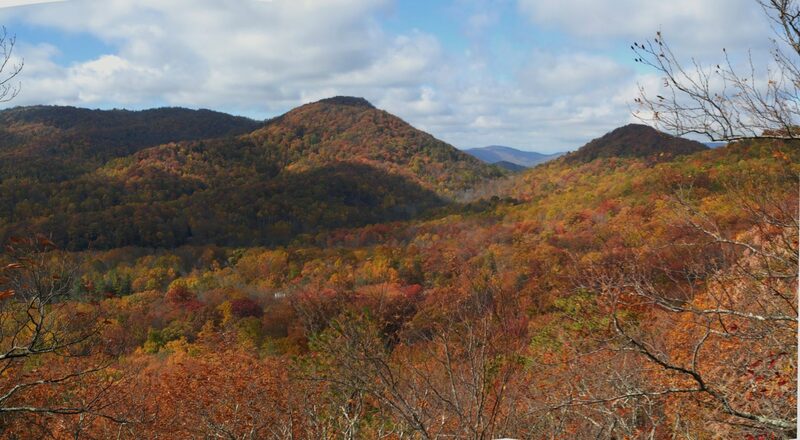 The short Orange Spur Trail off the Blue Trail will take you to Little Pisgah Point, which also offers great views of the surrounding Hickory Nut Gorge. From the parking area, take the yellow-blazed FNP Access Trail until you reach the Blue Trail. Take the Blue Trail in either direction, connecting it to the Red Trail and the White Trail to make a loop. From the Red Trail, take the orange-blazed spur trail to Rattlesnake Rock. After enjoying the view, hike back the way you came on the Orange Trail. Complete the loop on the Red, Blue, and White Trails, until you’re back at the FNP Access Trail. Take the FNP Access trail back to the parking area. Connecting Trails Throughout the Hickory Nut Gorge. The trails at Florence Nature Preserve connect to the Wildcat Rock Trail, which starts on the other side of the road from the parking area. They are also part of an ambitious emerging trail network in the Hickory Nut Gorge. 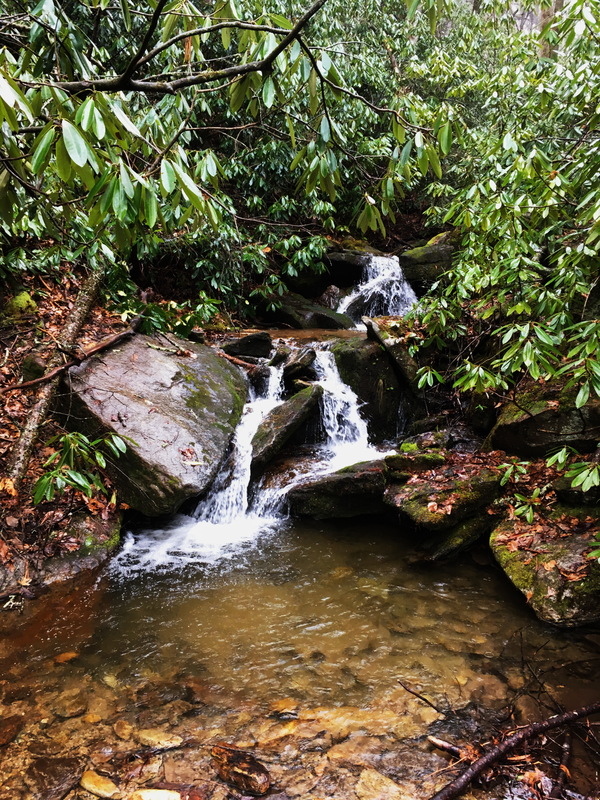 Conserving Carolina is spearheading efforts to create a 20 mile loop trail in the Upper Hickory Nut Gorge that will connect Florence Nature Preserve, Wildcat Rock Trail, Bearwallow Mountain, the Trombatore Trail, and Blue Ridge Pastures. This loop will be part of the future 100+ Hickory Nut Gorge State Trail, which will one day traverse the whole length of the Hickory Nut Gorge and circumnavigate Lake Lure. Dr. Tom Florence and his wife Glenna left a legacy of natural wonders when they donated their 600 acre property on Little Pisgah Mountain to Conserving Carolina. The couple started acquiring this land on the southern slopes of the mountain in the 1960s and they made regular trips from Georgia to enjoy it. In their retirement, they lived on the land for 20 years. They came to have a deep sense of connection to the land and they didn’t want its natural treasures ever to be lost. And they didn’t want to just keep them to themselves. The Florences donated 300 acres to Conserving Carolina in 1996, which was the first property that the land trust owned. They went on to donate an additional 300 acres in 2001. Conserving Carolina adopted and improved nearly five miles of existing trails and has opened the land to the public as the Florence Nature Preserve. 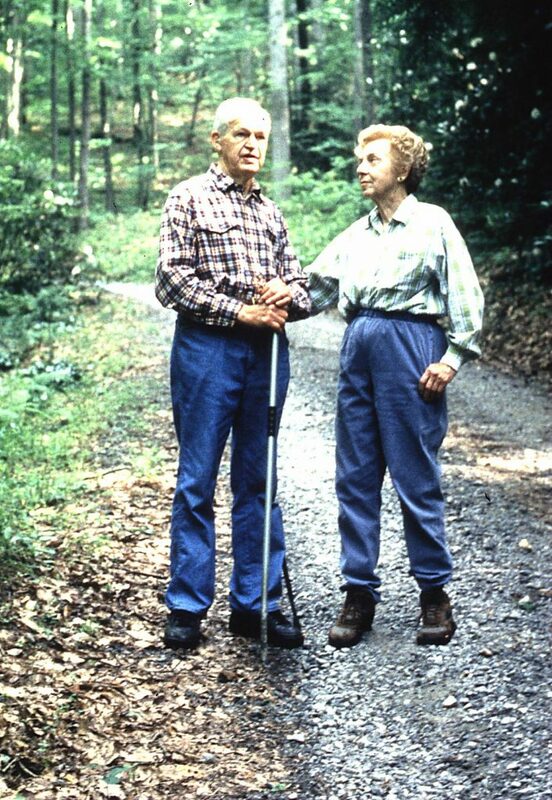 The Florences’ property was the first land to be protected in the Upper Hickory Nut Gorge and it offered the first publicly accessible hiking trails in the area.This conservation project proved to be a springboard for much more land protection, encouraging nearby landowners to pursue conservation. Today, nearby nature preserves and trails include Wildcat Rock Trail, Bearwallow Mountain, the Trombatore Trail, and Blue Ridge Pastures. 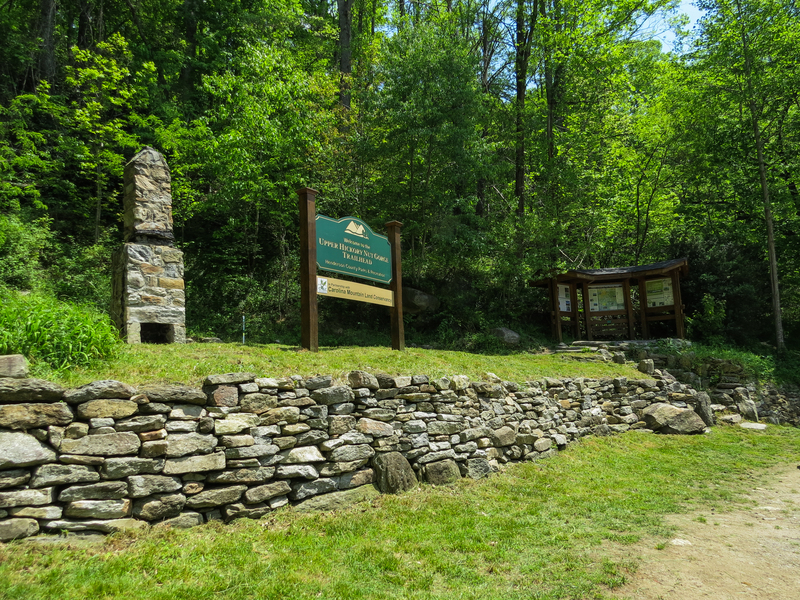 Conserving Carolina improved access to the Florence Nature Preserve in 2011 with the acquisition of the Upper Hickory Nut Gorge Trailhead in partnership with conservation landowners John Myers and Jane Lawson and Henderson County Parks and Recreation. A new 0.7-mile sustainable trail, the FNP Access Trail, was built in 2012 to access the preserve’s nearly five miles of trails from Highway 74-A. 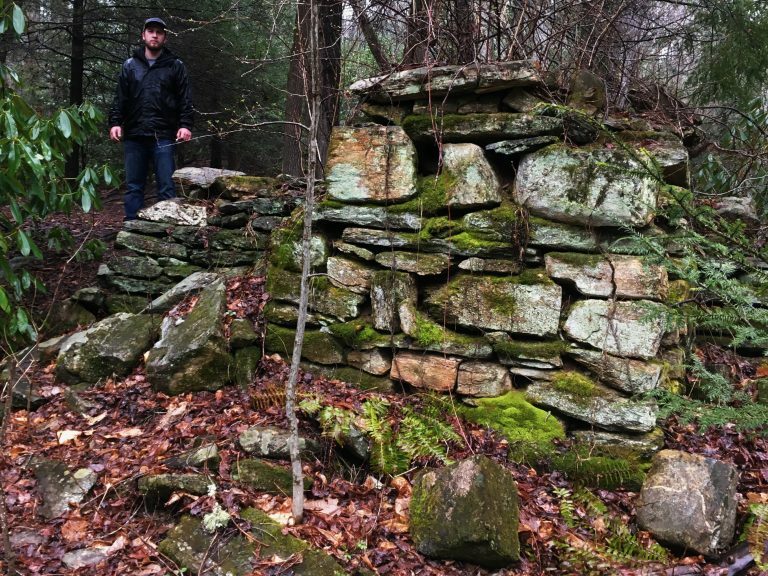 Construction was undertaken by Trail Dynamics with help from the Carolina Mountain Club. Funding from the National Scenic Byways Program, Fred & Alice Stanback, Bill & Jerry McAninch, Community Foundation of Henderson County, REI Asheville, and donors to Conserving Carolina like you helped make this project possible. The Conserving Carolina Rock Crushers Trails Crew as well as Conserving Carolina’s Adopt-A-Trail volunteers help maintain and steward the trails of Florence Nature Preserve. If you enjoy beautiful places like the Florence Nature Preserve, please consider making a gift to Conserving Carolina. Your support helps us protect more great places and build more trails so we can all get out and enjoy the mountains! Please show respect for other hikers and for the plants and animals that live in the Florence Nature Preserve. Do not disturb cultural sites like rock walls and foundations or wooden structures. Why stop with Florence Nature Preserve? Find more places to get outdoors, from nearby hikes in the Hickory Nut Gorge to waterfalls you’ve never seen before.